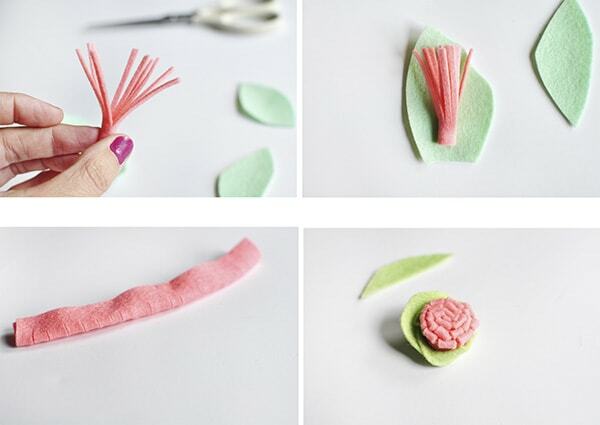 INSIDE : Create gorgeous felt flowers with these simple to follow instructions! And the best part is these flowers can live on forever. I love felt. Once I found a source for really lovely felt colors, I’ve noticed I have been going to felt over paper crafts! Something about felt feels more forgiving and I think the texture adds something that paper just can not provide. 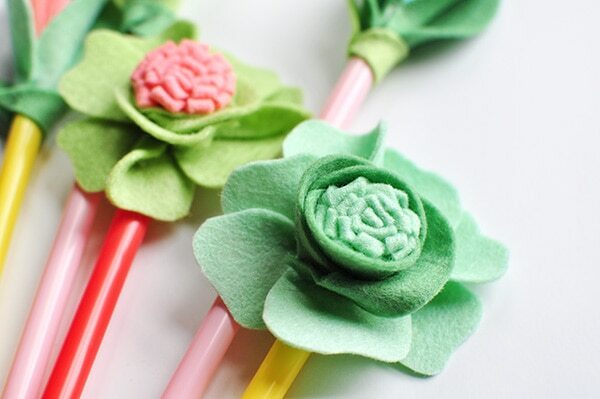 Yesterday, I sat down with my favorite felt colors and a bag of straws determined to come up with a fun and colorful Mother’s Day idea… and out of that came these adorable DIY Felt Flowers! 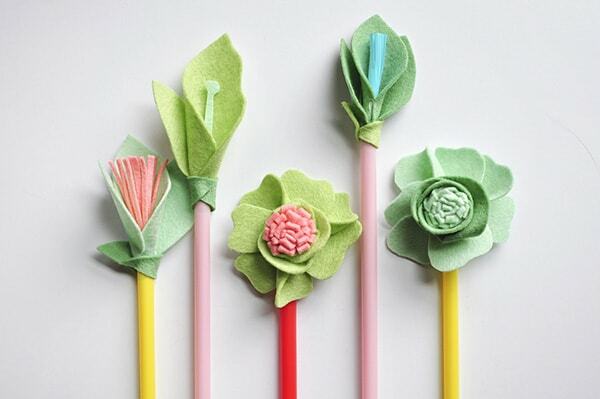 What supplies do I need to make DIY Felt Flowers? 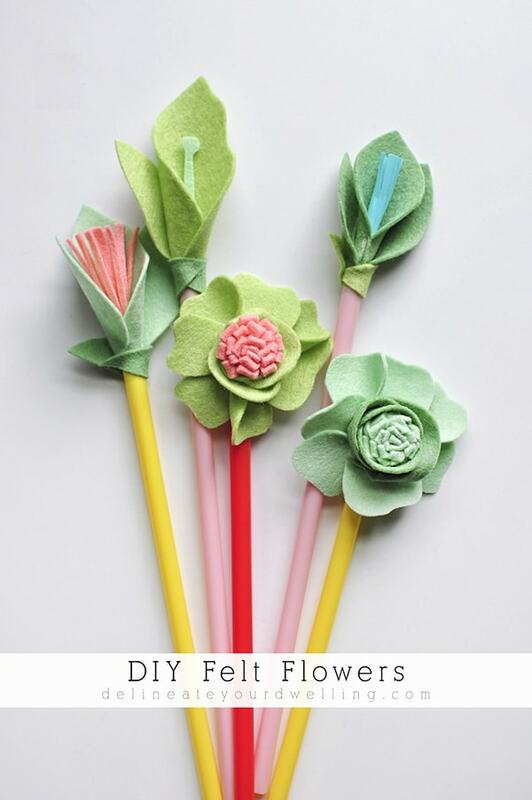 How do I make DIY Felt Flowers? Finding a good felt source, is half the battle with felt crafting. I never could find non-crayola crayon colors at my local craft supply stores. 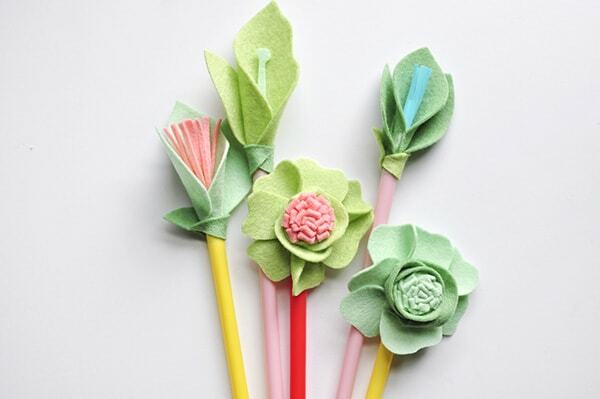 For these DIY Felt Flowers, I just had fun. 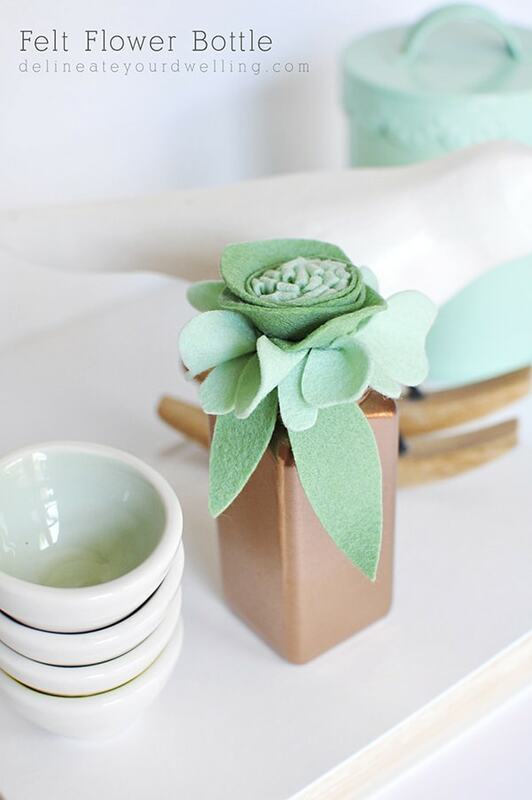 I created a basic Calla Lilly flower using Something Turquoise’s felt tutorial as a guide. Then, I just started making up flower shapes as I went! I cut the pink felt into thin pieces and slowly rolled it, gluing as I went. It created the most lovely flower center. Then, I created a Calla Lilly shape around it. 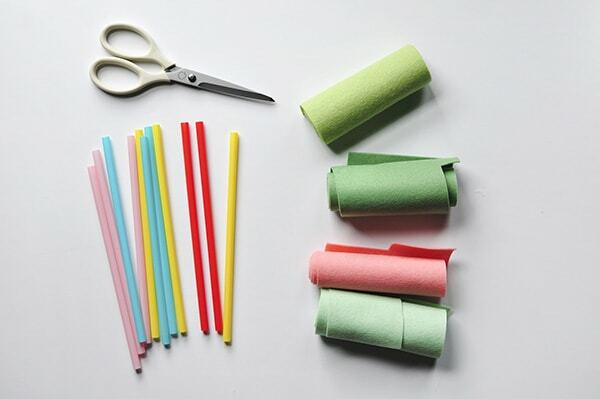 To create another fun center, I took a 1″ strip of felt and folded it in half. Then, in varying distances, I cut small slices halfway of the width. Then, I slowly rolled it, gluing as I went. I had fun adding petal like layers to each of the flowers, not really worrying if it was a real flower or just looked pretty and colorful. 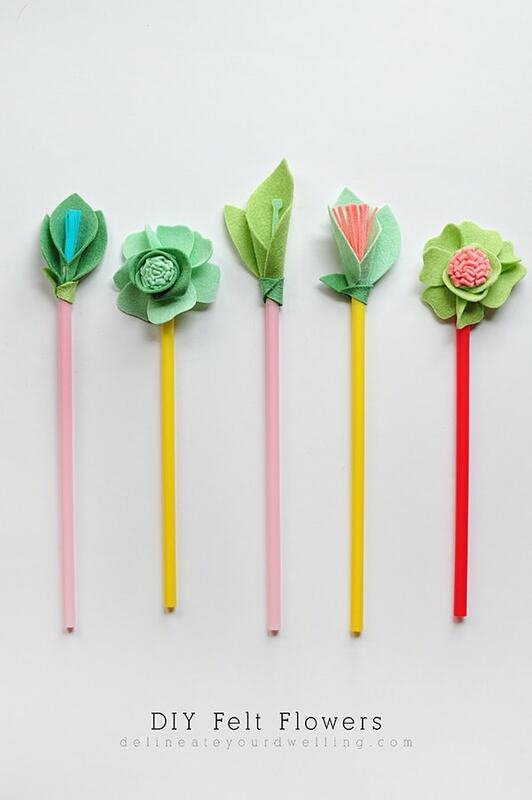 Once, the main flowers were completed, I added a generous amount of hot glue inside my straw tip and gently pushed the felt flower into the straw. A final strip of green felt, secured around the base of the straw acts like the sepal of the flower and also covers the flower to straw connection. 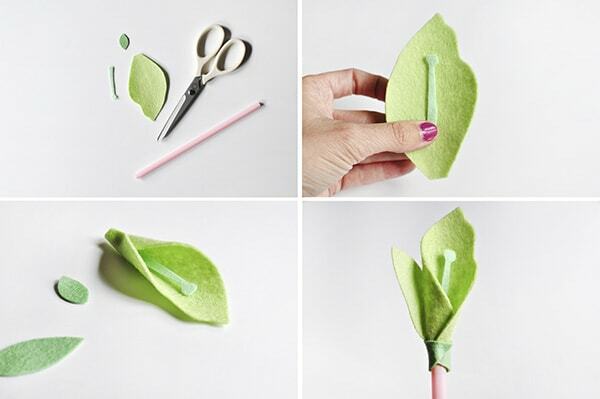 These felt flowers would be a perfect Mother’s Day craft. My daughter is already asking me one, but honestly I am so smitten with them… I don’t think I can part with any of them! These soft green shades play so well together. 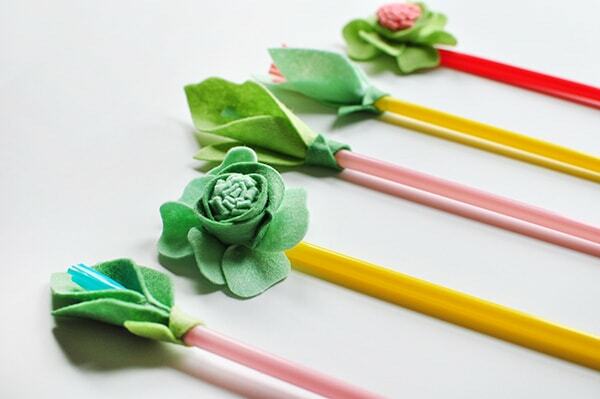 And the fun straws are the perfect touch of whimsey and color! Now, I’m on the lookout for the perfect permanent vase to set these on display. 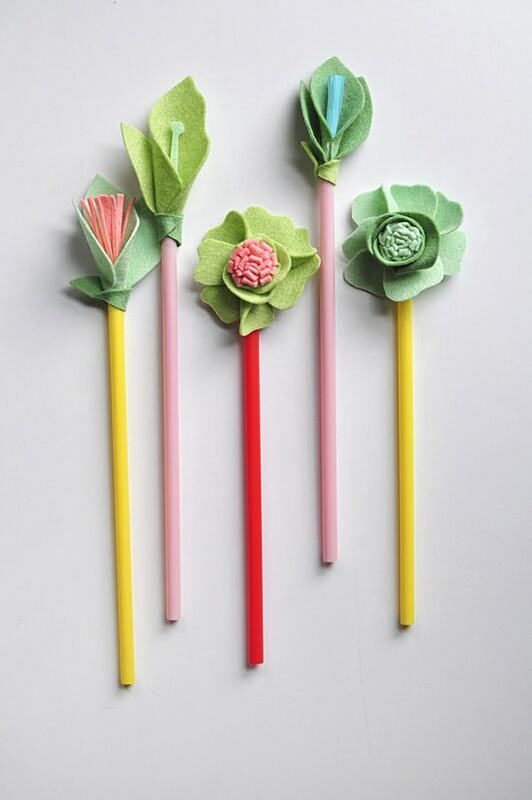 Do you plan to DIY Mother’s Day this year or are you going to just buy something online? Wow! These look so cute. I’ve never tried making anything in felt before but this one makes me want too! 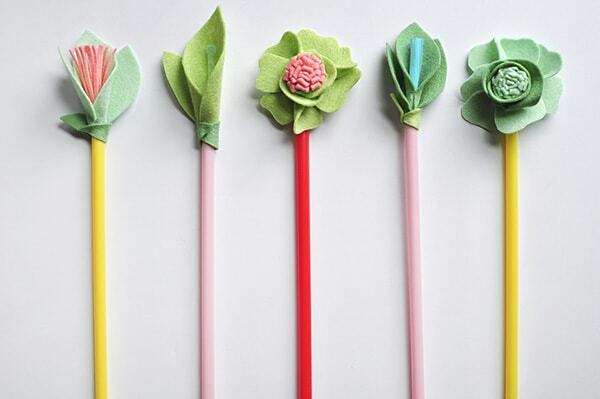 These are such a cute DIY! 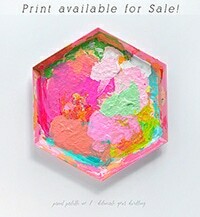 I’ll definitely try making these over the summer. These are so cute Amy! 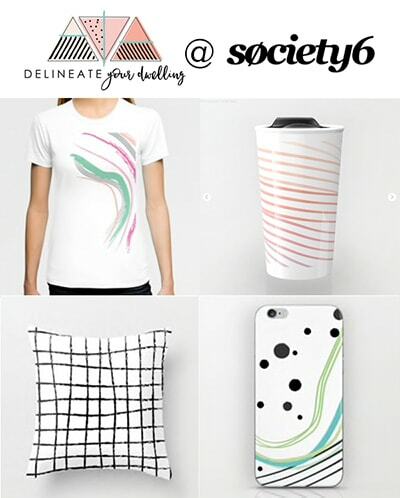 I especially love the succulent looking one!